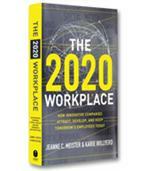 For the first time in American History we have four different generations working together in the workplace. 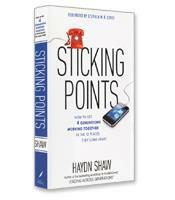 In Sticking Points, Haydn Shaw, identifies 12 places where the 4 generations typically come apart in work and in life. These sticking points revolve around differing attitudes toward time management, texting, social media, organizational structure and fashion. If we don’t learn to work together and stick together around these 12 sticking points, then we will waste a lot of time fighting each other instead of enjoying a friendly and productive team. To understand how different generations think. Ways to apply this five-step plan to each of the 12 generational sticking points. Answers to the most common questions asked about generational differences.